Think Small Business Lawyers Are Only Useful During Troubled Times? Think Again. P2Binvestor BlogThink Small Business Lawyers Are Only Useful During Troubled Times? Think Again. Why your small business should have an attorney...starting yesterday. 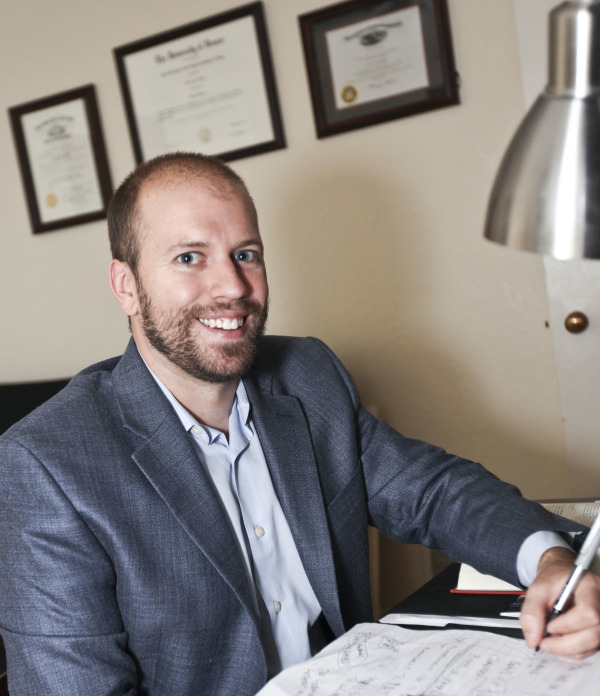 I recently had the chance to chat with Conor Filter, a small business attorney in Denver, Colorado. He helps startup companies and small businesses with mid-to-long term planning and business development. We discussed why having an attorney from the beginning is important, as well as some of the common legal mistakes many people make when first starting a business. Read on! Annie (P2Binvestor): Sometimes people don’t realize there are so many ways an attorney can help a business. What kinds of services do you offer your clients? Conor: My services are applicable to all stages of the business cycle. I help with everything from entity selection, business plan consulting, and creating contracts to mergers and acquisitions during the exit phase. Annie (P2Binvestor): Why did you choose to work with businesses and startups? Conor: When I was in law school, I actually started my own business that involved bio fuels and recycling. We took the leftover vegetable oil from restaurants and recycled it. Even though I’m not a part of that business anymore (it is still around, though), I can advise my clients not only as a lawyer, but also as a former business owner. I learned a lot and can help guide business owners based on my past experience. Annie (P2Binvestor): What are some of the most common mistakes you see people make when starting or growing a business? Conor: One of the biggest issues I see is when people start their business without any type of operating agreement or clear divisions of ownership and duties within the business. Similarly, many people enter into early B2B relationships on a handshake, and the vast majority of litigation I see arises from those informal relationships. Don't be afraid to ask a client to sign a contract! If they are a legitimate business, they will realize it benefits and protects all parties to the transaction. A good business relationship starts with a good business agreement. Conor: Choosing the right entity for your business. People assume that an LLC is always going to be the right choice for tax purposes, but sometimes an S Corp might be better. It depends on a lot of different things, including location. Annie (P2Binvestor): Why would you recommend that a small business hire an actual attorney as opposed to handling legal work through a web-based platform such as LegalZoom? Conor: Online platforms like LegalZoom have some useful documents, but that’s about it. They don’t personalize those documents for you or tailor things based on your industry or location. Attorneys are also business consultants in more ways than one. Every business is going to need an attorney at one point or another, and developing a relationship with one early on can be really beneficial. Annie (P2Binvestor): On the finance side of things, are there certain patterns you see with businesses trying to grow? Conor: Most of my clients are just starting out, so they don’t have a proven track record or history of business yet. That makes it really hard for them to get a bank loan and I warn them about that. I think private and alternative finance will be the way most companies get capital in the coming years and bank loans will become obsolete. With underwriting obstacles being so hard to overcome, alternative lending options are great solutions for my clients. Conor Filter of Filter Law, LLC, offices in downtown Denver and offers a free consultation to prospective clients. To contact him, send an email to counselor@filter-law.com or call (720) 287-3538.